The New Zealand Bankers' Association (NZBA) has, not surprisingly, come out against the Reserve Bank adding a debt-to-income (DTI) ratio tool to its macro-prudential toolkit. But the bank lobby group has suggested a serviceability interest rate, or SIR, as a potential alternative. NZBA's submission on the Reserve Bank's DTI ratio consultation paper comes with the prospect of the Reserve Bank getting approval to add such a tool to its toolkit appearing slim. That's because adding the tool requires the approval of the Finance Minister. National Party leader Bill English and finance spokesman Steven Joyce, plus Labour Party leader Jacinda Ardern and finance spokesman Grant Robertson have all publicly expressed concerns or opposition. Nonetheless the Reserve Bank consultation process rolls on. And the bank lobby group argues the Reserve Bank paper does not establish that the benefits of a DTI ratio outweigh its costs. Additionally NZBA argues DTIs could create a number of unintended consequences for both the housing market and the economy. "The evidence linking high-DTI loans and default is weak," NZBA says. "Job loss has the most significant impact on the likelihood of default. 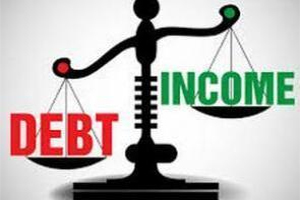 The reason is that loss of income causes the debt servicing to income ratio to rise above 100%." Through macro-prudential policy the Reserve Bank aims to promote greater financial system stability by building additional resilience in the financial system during periods of rapid credit growth and rising leverage or abundant liquidity, and dampening excessive growth in credit and asset prices. However, NZBA also argues that having DTIs in addition to the loan-to-value ratio (LVR) restrictions already in place on residential mortgage lending is unnecessary because both tools act in a similar way to limit borrowing. In addition to the LVR restrictions NZBA says the Responsible Lending Code, Credit Contracts and Consumer Finance Act, Code of Banking Practice, and the Australian Prudential Regulation Authority's mortgage lending guide for NZ's Australian owned banks, mean DTI limits are not needed to improve existing bank lending practices should interest rates rise. "NZBA considers that the statutory and regulatory limits currently in place are sufficient to mitigate the risk of unforeseen events that may impact on affordability," NZBA argues. How about a serviceability interest rate, or SIR? However, the bank lobby group does suggest, as a potential alternative to a DTI tool, a serviceability interest rate. "NZBA accepts that a serviceability interest rate would not be without challenges - it would also require consultation and calibration - however, ...it would have advantages over a DTI." A serviceability interest rate would be based on a notional interest rate set above current market rates to incorporate a level of interest rate sensitivity. This, NZBA says, assesses the borrower's ability to repay debt within a reasonable expectation of possible increased interest rates or other plausible changes of circumstances. "A serviceability interest rate could involve an industry level sensitised (notional) interest rate defined by the Reserve Bank for residential mortgages and which could be adjusted based on the economic outlook. All banks would apply this rate to their affordability assessment calculation as a minimum affordability measure." Banks already tend to build in a serviceability buffer at an interest rate higher than current mortgage rates to get a feel for what repayments borrowers could afford if interest rates rise. "A serviceability interest rate can be imposed using a prudential guide approach, which NZBA suggests is more suitable for New Zealand banks than a prescriptive approach, as it is a better fit with RBNZ’s self-discipline and market discipline philosophy. This approach would support both industry consistency, and RBNZ’s objective to prevent the shock of high interest rates driving defaults," NZBA says. NZBA goes on to argue a serviceability interest rate would have advantages over a DTI framework because; It is better able to respond to a rapidly changing market environment as it can be adjusted quickly and easily, banks will be able retain their current serviceability assessment frameworks, it would enable a consistent approach for both owner-occupiers and residential property investors, and it would alleviate some of the "more problematic" design issues with DTIs. In terms of DTIs, NZBA argues they don't take into account individual borrower characteristics such as after-tax income, household costs and other outgoings. "A macro-prudential tool that cannot take into account various household scenarios is susceptible to arbitrary and unprincipled consequences." NZBA also provides a lengthy list of exemptions it argues the Reserve Bank should consider if a DTI tool is introduced. The central bank has said there would be exemptions for new builds and for owner-occupiers wanting to buy and occupy a "relatively low-priced" home. In addition NZBA suggests exemptions for residential investment lending, business lending that uses the business owner’s home as security, bridging loans, refinancing, first home buyers, and holiday homes. "Given the broad range of exemptions that would be necessary and the complexities associated with implementing those carve-outs, NZBA queries whether DTIs are a workable and useful tool." The Reserve Bank argues the key benefit of a DTI tool would be reducing the costs of a housing and financial crisis. The main costs would stem from a reduction in short-term economic activity, and the cost to some potential homebuyers of having to delay house purchases. The tool would apply to both investors and owner-occupiers, but whilst it's "desirable" to add a DTI tool to its macro-prudential toolkit, the prudential regulator doesn't see a case for actual implementation currently. Additionally the Reserve Bank argues DTI restrictions would reduce the risk of a significant rise in mortgage defaults during a severe economic downturn, mitigate the potential amplification of a downturn due to economic stress and increased house listings among high DTI households, and "lean against" periods of rapid house price and credit growth thus reducing the probability and magnitude of a sharp correction in house prices. A DTI policy would be introduced at a time when the Reserve Bank judged that house price appreciation and high DTIs created a risk of crisis. A DTI restriction would be likely to take the form of a limit on the total debt of the borrower as a ratio to gross income. Under a DTI tool banks would be required to maintain their share of non-exempt mortgage lending at a DTI exceeding, say five, to, say, below 20%. Thus a "speed limit" would be put in place, as with the LVR restrictions on residential mortgage lending. Reserve Bank analysis suggests restricting the DTI ratio of some mortgage borrowers could prevent about 10,000 borrowers from buying a house, reduce house sales volumes by about 9%, trim house prices and credit growth by up to 5%, and shave 0.1%, or $260 million, off Gross Domestic Product. Perhaps if DTIs are not practical in NZ because NZ is special, then bank capital requirements need to be set a lot higher. If the RBNZ said to the banks, you can either implement DTI or bank capital requirements will triple, then I would expect to see that DTI limits would suddenly be very do-able. "If we don't change the way we create and distribute money, we've changed nothing." 3. The strength or weakness of Australia's economy and the movement of kiwi workers attracted (or not) to Australia's mining boom and big cities is inversely related to demand for NZ houses. On the supply side. NZ is have a conversation on how our cities can grow. For instance, Greater Auckland has done a follow up article on an idea of mine for 'reciprocal intensification', which is one way to make it easier for our cities to grow organically upwards. https://www.greaterauckland.org.nz/2017/08/29/legalising-perimeter-block.... Another excellent recent example is from CroakingCassandra about 'Land prices on the developable fringe of Auckland'. This is just two examples of countless discussions NZ is having about how to allow our cities to grow. New Zealand cities, with the exception of Christchurch are under supplied with housing. We are not in the situation of Ireland or Spain, which had artificially too low interest rates due to being members of the Euro -huge building booms in the wrong places and then when the GFC hit -huge price busts and derelict newly built apartments and housing estates. It is not clear to me why the Reserve Bank is claiming a star role in this housing discussion. I think the Reserve Bank has suppressed housing demand in Auckland by reducing property investment by 50% this year compared to last, by ramping up the deposit requirement on investors to 40% last year. Given the political importance of housing, this could be interpreted as being a naive political act. Especially as it has allowed the government to claim it is their actions which have calmed the market. The Reserve Bank role is to maintain financial stability and ensure price stability. It doesn't have the levers to effect most of the housing demand or supply factors -so if it intervenes it is probably an overcompensation for a lack of action elsewhere. Should we really be encouraging this? In my opinion the Reserve Bank has interfered enough -it should stick to its core roles -and let the public debate on housing demand and supply matters run its course. Excellent comment Brendon, better analysis than much of the commentary being published on this subject. Your comment makes the generic assumption that populations and cities can just magically grow. The second part is What are all these new people actually doing? Building new houses for the demand ??...Ponzi. And Interest rates are artificially low EVERYWHERE - NZ is not an exception. They have to be to allow existing debt claims to be manageable ... which should tell you something about where growth is headed. Growth & a viable ecosystem are now diametrically opposed. The problem is the Reserve Bank is the only one willing to take an action that would reduce house prices. Both Labour and National are running scared. Until some political will to change the status quo appears, the situation will get worse. the reserve bank is now having to come up with measures to combat bank culture which nowadays is sell as much debt as you can. I like the idea of a DTI. it protects the residential market from getting themselves in too deep and dampens the "I dont want to miss out effect" when prices are booming. That then leaves all the risk with speculators and invested where it should. It is also long term sustainable as the housing market stays pegged to incomes which really needs to happen as housing is first and foremost shelter for your population. Introduction of a SIR has an element of being able to predict the future and even though interest rates have been stable for quite some time it doesnt mean that will always be the case. The Bankers may be right but usually I think whatever the banks says is best do the opposite. Very weak arguments put forth by NZBA. Very name suggest its macro prudential tool so how it can be expected to be calibrated at each individual household scenario. Was LVR designed that way?? NZ banks wont see strong link between high DTI and defaults as we havent seen such crisis unfolded yet but i would be keen to see same people standing tall in the room still supporting their arguments when crisis does unfold..DTI tool is more to address systemic financial risk due to downturn in housing market rather than looking at it from individual banks standpoint...how all high DTI loans under stress when aggregrated at national level led to weakening in the key sectors of economy etc.. Learn to have a big heart to give due credit to RBNZ rather than going after them....Its obvious that DTI wont be unleashed in this market environment but its a more for future if housing market doesnt slow down. Also unwinding of LVR will have to be carefully planned as u dont want that unwinding action to provide further impetus to price growth. The NZBA went apoplectic. Too hard they said. Need lotsa time to develop and introduce appropriate systems. RBNZ caved in and gave them a whole year before acting. One thing the RBNZ didn't muck around with was increasing the LVRS from 20% to 40% on investors. And that was only after John Key kicked them in the backside and told them to get on with it. Reckless Lending is an offence in some countries ( and they are democracies ) . Banks can and do self regulate , and a one size fits all does rule not always work , but the propensity to lend to a potentially over -extended debtor is too high when the times are good and the economy booming . Yes it does appear they're a little late in the game for trying to impose restrictions when the Ozzy banks have already stepped on the breaks for NZ investors through pretty much stopping speculative Investors. What they should have recommended year ago is to reduce the source of the problem; Foreign buyers who pushed the market and enabled it to be decoupled from wages. Now that the market is in decline they need to keep the 20% LVR restrictions in place to protect both themselves and FTB' s also the Investors restrictions need to remain in place too to allow the NZ property market to return to more affordable levels. Any decent Government should had recognized this problem years ago rather than attempting to live off a false economy.
" Demand wasn't that high because people thought they have time"
This one here, exactly, people were cruising. When the prices started rocketing up, people had fear they were going to miss out so went gang busters to buy property. Now we find ourselves where we are. Disingenuous comments from NZBA about unemployment (recession) being the leading cause of defaults. Of course it is! But how often that happens depends much debt you have. Say if you lose your job and your debt burden is not much at all, you might find a part time job or something lower paid, or even borrow money from family or sell something and then possibly keep paying interest. If you are highly geared then options for staying afloat becomes less likely. So link between unemployment and default becomes much stronger with more debt. And if everyone is geared up to their eyeballs and we have a recession then the potential damage from defaults is much greater and potentially systemic. An eventual default leading to severe losses is what the RBNZ is concerned about. They are not going to want anything that will potentially limit business for them. DTI ratios do make sense as they tie income to the price of a house, and protect kiwis from borrowing too much , many who are frankly poor with money. Infact the fact that Kiwisaver was introduced, to ringfence and force people to save with out being able to withdraw it until retirement, just proves this. But the fact is that any restrictions will be too late for many, who may have already over extended themselves, if / when interest rates do start to rise, whenever that maybe. We also shouldn't be looking at 'affordability' and the record low interest rates. It is the actual house price vs income that matters. The government are saying there isn't really a problem in NZ with affordability, because of the low interest rates. They say the problem is getting the 20% deposit, which they are introducing policies to help FHBs. But that is so short sighted, as interest rates are at record lows. What if they go back up to 8%+, which historically is still pretty low and similar to the rate before the GFC. I suspect a lot of people will hurt at that rate, simply because they borrow too much. Currently house prices (at least in Auckland and somewhat in Wellington) seem to be somewhat tied to what the interest rate is, based on the affordability figures, which IMO is wrong. Why would people want to be crammed into apartments, which can be unhealthy places to live, especially as many buildings appear to be constructed to the minimum building standards and insulation? Whereas overseas, such as in Europe, places tend to be built to higher insulation standards with triple glazing etc, and actually have great public transport infrastructures. Also they are really expensive in NZ for what you get, and many people living in a country like NZ with a small population of 4 million want a garden to grow food, rather than be crammed into apartment complexes. Some can be very unpleasant places if not done right, and there is a risk of them turning into ghettos when not properly maintained. W also need a big overhaul of our body corporate rules and associated costs, as that is a big negative when buying an apartment. To me, apartments on a per m2 basis are very expensive. I'll illustrate that with my personal example. My property has a habitable area of 300m2 and a market value of $2,200,000, which is $7,333 per m2 of habitable space, cheaper per m2 than most apartments. However my site coverage is 28%, which means I'm not only getting a cheaper rate per m2, but also have 72% of my site to separate me from my neighbours. No body corporate fees and no problems that can come from living next to strangers in close quarters. Yes, smaller properties are being developed on half sites BUT they are close to as expensive as an older house on a full site. There is absolute logic in preferring an older house on a full site, it's the cheapest option per m2. Which begs the question why I don't subdivide? The house is not well positioned for subdivision and I'm advised the cost is prohibitive. Many neighbours are using increased site coverage allowed in the UP to build bigger instead. A perverse outcome to those that expected increased density. The Uk also has 10 times the amount of houses, there are 15 times more people, their median house prices are 7.7 times their median income, they are also in the midst of a housing crisis amid fears that it's all going to collapse, and a generation have been locked out of housing - sounds eerily familiar. With those figures are you talking about London or the UK itself? London is far more expensive that much of the rest of the UK . I know someone trying to sell a house in the UK, but have't been able to because they can't find a buyer. I would expect their prices to be high though because their interest rates are a lot lower than NZ. I also know a couple in their mid 30's in the suburbs of London who can't afford to buy and have been living with their parents for at least 5 years, so I wouldn't say it is a great situation. Also their houses are tiny, and not designed for modern living. Wider UK, London is around 12 times I believe, Kensington Borough about 38 times. Reducing interest rates has helped drive the current madness, to bring it into line with overseas' would be utterly insane. The reason it sounds familiar is we as NZ's tend to copy their legislation. Same goes for education, when we want world leading systems we copy the poms. MMmmm DTI's or change the way we fundamentally live in apartments vs houses. Have high house prices or easy affordable houses. Interest rates in the UK for a home loan are 1.5 % are they? , and a FHB needs a appartment of a reasonable size and outgoings and quality, the Gold Coast in about $400k for a sweet 2 bed 2 bath and 2 car parks, what do you get for that in Auckland? maybe the RB should have started putting interest rates up 2 years ago to slow dept ?